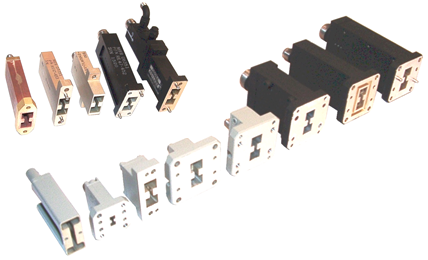 M.E.C.’s RE40 Series state-of-the-art end launch adapters fulfill the need for in-line units with broadband capability. Their unique design combines a low profile with short length, low loss, and low VSWR. These units possess a special, inherent ability to operate over a multi-octave band at high power levels, making them ideal for use in EW/ECM applications where transmission line routing space is in high demand. 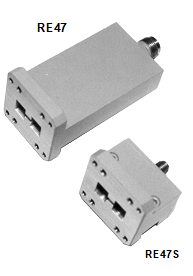 EXAMPLE: Model number RE43-SC-P is a WRD-200D24 double-ridge waveguide to SC female coaxial connector rated at 800 W average power. (2) Other flanges, connectors, and frequency ranges are available upon request. Alternate tapped cover flange is standard. 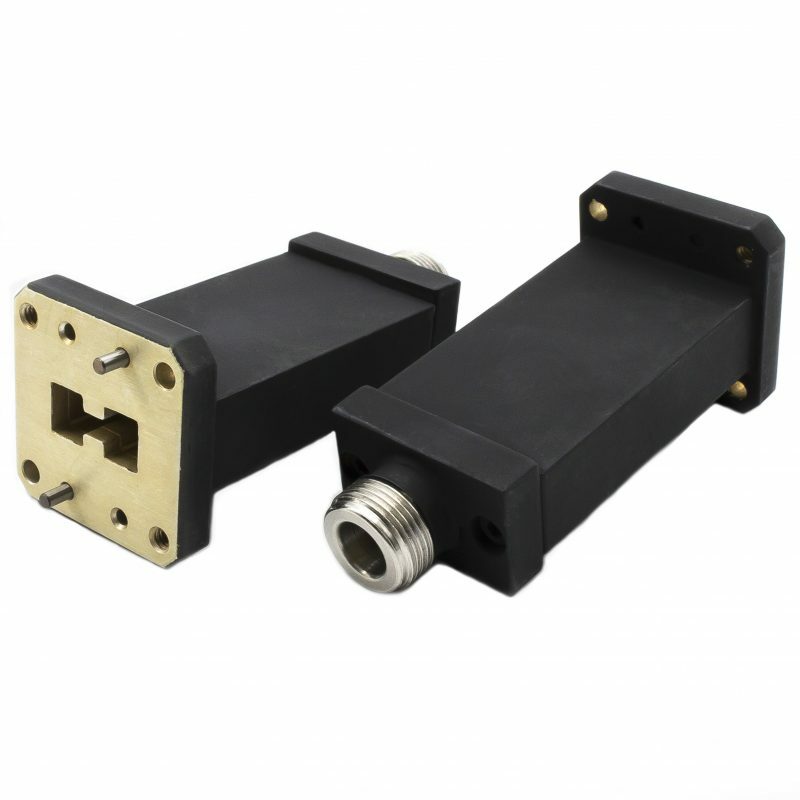 (3) Single-ridge waveguide is also available on special request.